Gas Assist Injection Molding is a low-pressure process utilizing nitrogen gas to apply uniform pressure throughout the molded plastic part. 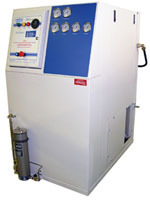 The BAUER SNG Series II Nitrogen Generators is self-contained, fully integrated, Modular system that eliminates the hazards involved with the handling of high pressure cylinders as well as the burden of merchant supplied nitrogen gas. These systems incorporate a modular design installed on a single skid to allow for easy customization of the total system to meet specific design applications. BAUER has manufacturing high pressure compressor systems for over 50 years, earning the reputation as an industry leader in quality, innovation and reliability. 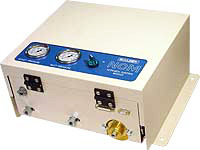 BAUER Nitrogen Compressors are designed to supply the high pressure nitrogen required for gas assist injection molding. The BAUER Nitrogen Control Unit can adapt any injection molding machine, regardless of make of model, for use with the gas assist process. 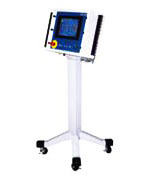 The NCM-1 interface with moulding machine via five sets of input terminals. The system inputs are used for cycle initiation, cycle kill, mould status, a safely input for purge guard and operator safely gate and a system enable/ disable. The system also includes a power connection capable of running at 120VAC to 220VAC. The controller has one high pressure input capable of accepting up to 380 barg and one high pressure output for 0 to 350 barg.